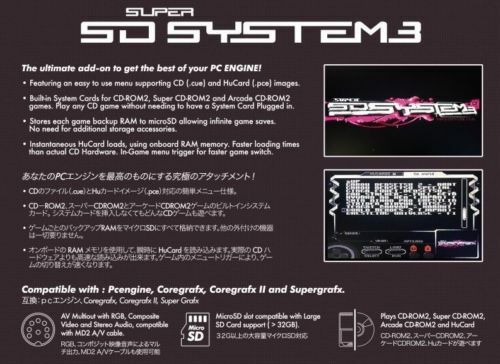 Super SD System 3 is the final device for pcengine. 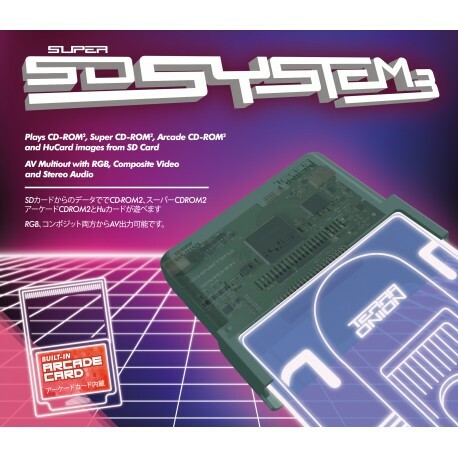 Its a device that plugs into the pcengine, coregrafx, coregrafx 2 and super grafx expansion port emulating not only the whole super cdrom 2 drive but also the system cards and hucards while offering high quality RGB output. Featuring an easy to use menu supporting CD (.cue) and HuCard (.pce) images. Built-in System Cards for CD-ROM2, Super CD-ROM2 and Arcade CD-ROM2 games. Play any CD game without needing to have a System Card Plugged in. 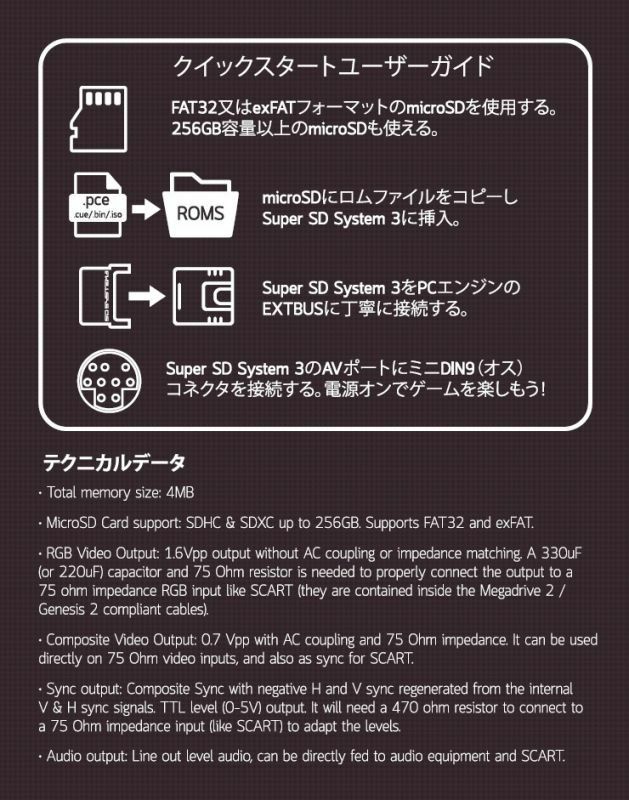 Stores per game backup RAM to microSD allowing infinite game saves. Instantaneous HuCard loads, using onboard RAM memory. 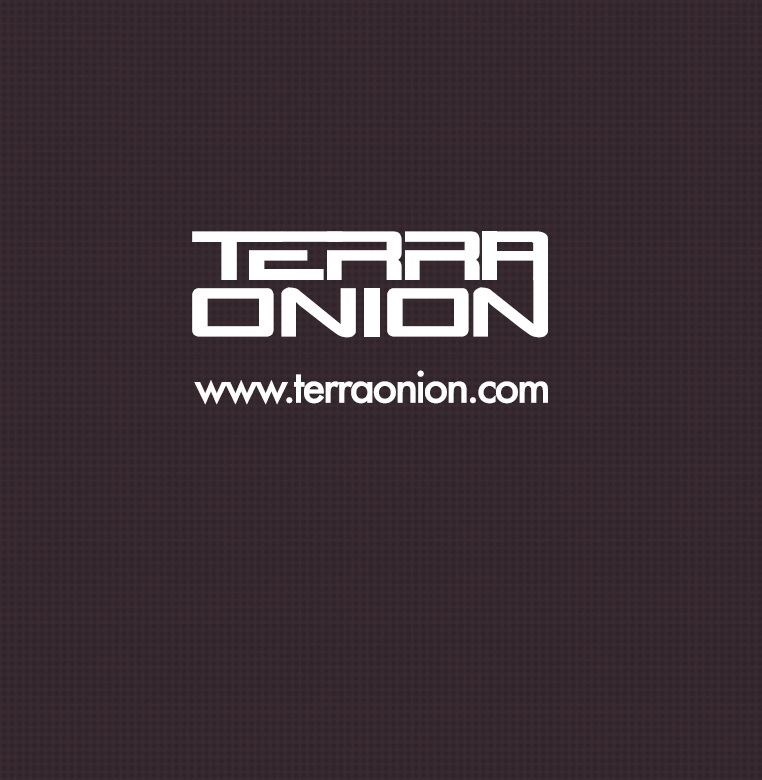 Faster loading times than actual CD Hardware. In-Game menu trigger for faster game switch. 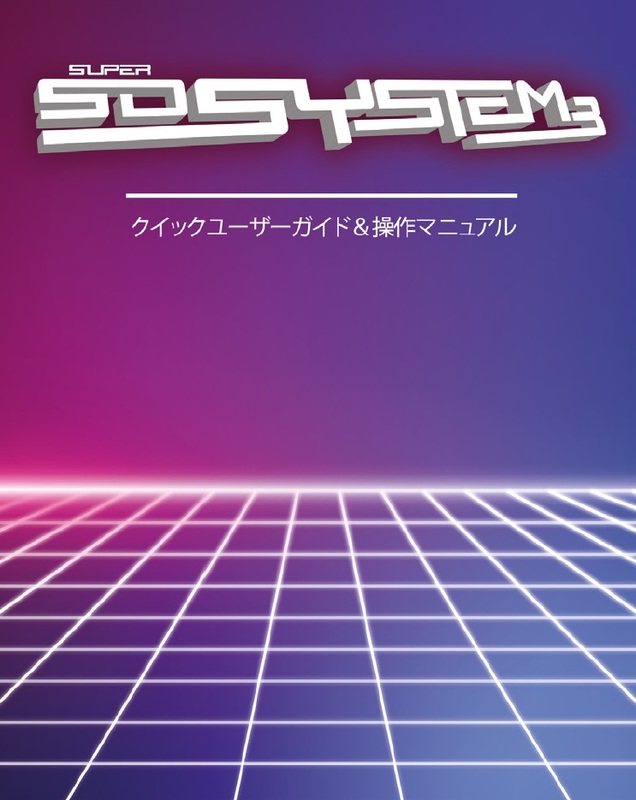 Compatible with : Pcengine, Coregrafx, Coregrafx II and Supergrafx. AV Multiout with RGB, Composite Video and Stereo Audio, compatible with Mega Drive 2 A/V cables. MicroSD slot compatible with large SD Card support. Plays CD-ROM2, Super CD-ROM2, Arcade CD-ROM2 and HuCard.